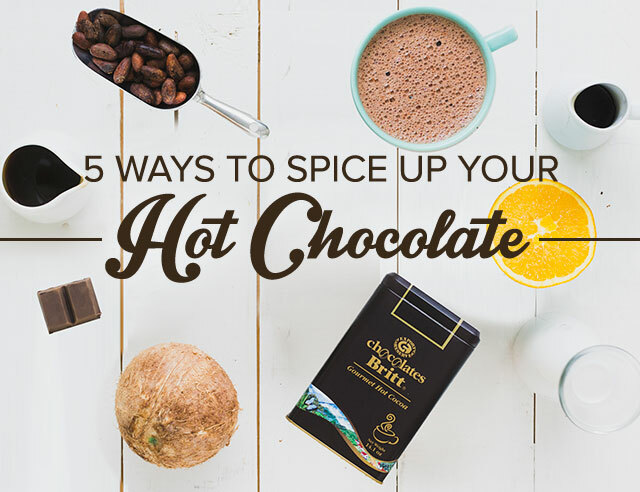 Long afternoons spent over a cup of coffee in a sunny café are a staple of Costa Rican culture. 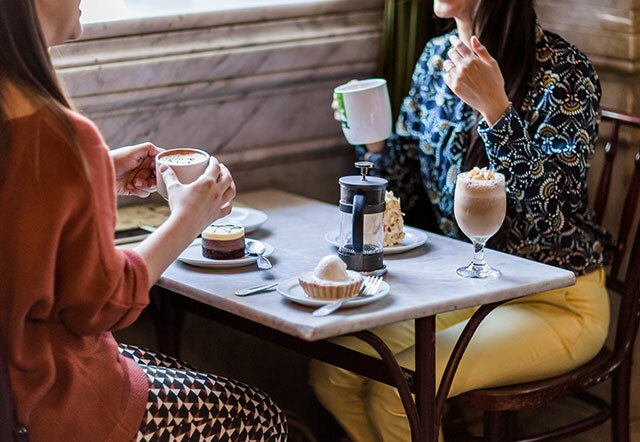 Coffee shops are an important part of our daily life, places where friends gather to catch up on the neighborhood gossip and people from all walks of life come together over a shared love of our country’s culture and of course our signature drink. To celebrate the culture we hold so dearly, we’re starting a blog series highlighting some of Costa Rica’s most famous coffee shops. First up: the Alma de Café. 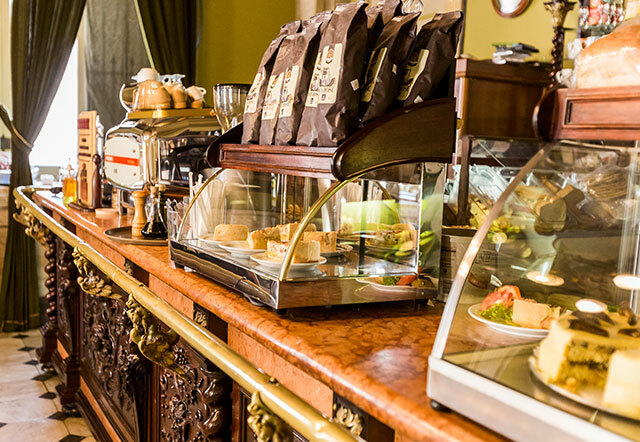 In the midst of a bustling street in San Jose, Costa Rica’s capital and one of the busiest cities, is a nationally known coffee shop and one of the few five fork restaurants in the country. 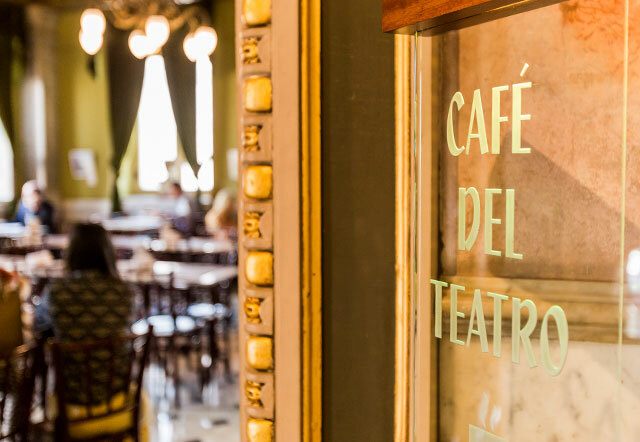 Alma de Café is a coffee shop known for being inside one of our national treasures: The National Theater. The National Theater was built between 1891 and 1897 and modeled after the Paris Opera House. 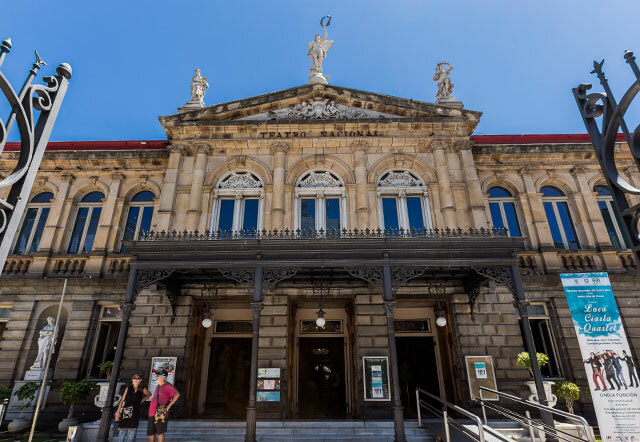 When it opened in 1897 it ushered Costa Rica onto the global opera scene, becoming one of the most beautiful stages in the world. In recent times it’s become a cultural center, both artistically and communally, by housing one of the country’s most beloved cafes. 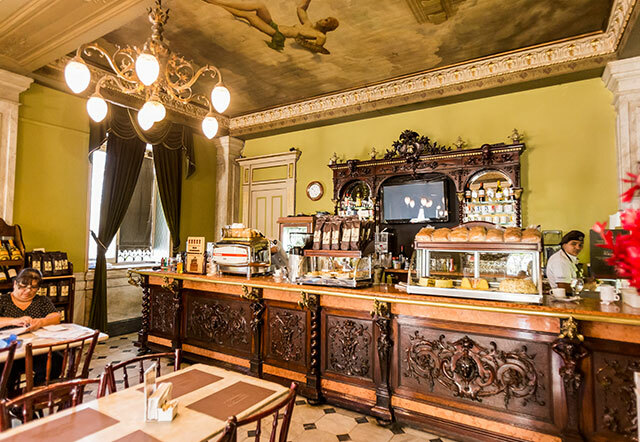 Alma the Café is located in the “Woman Bar” a cozy space where women in the early 1900s gathered for refreshments and conversation during the shows at the National Theater. 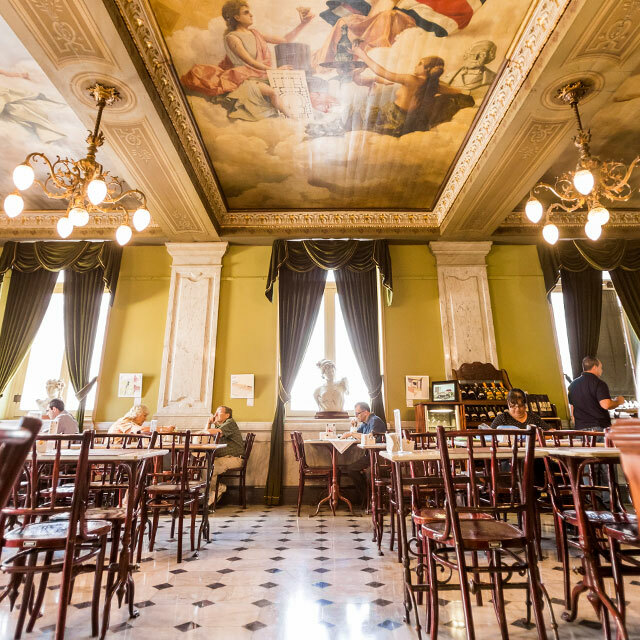 Now, in the 2000s, upon walking in, visitors are surrounded by ornate decorations, soaring architecture and ceilings decorated like the ones in the theater, creating a romantic European atmosphere, —the perfect environment for sipping coffee while relaxing or chatting with friends. The counter is packed with rows of displays showcasing specialty desserts, wines, and breads, which they are known for. With the aroma of freshly roasted Arabica beans and homemade pastries wafting up to the vaulted ceilings, visitors fill the space with animated conversations and laughter while they take in the paintings of Carlo Ferrario on display. 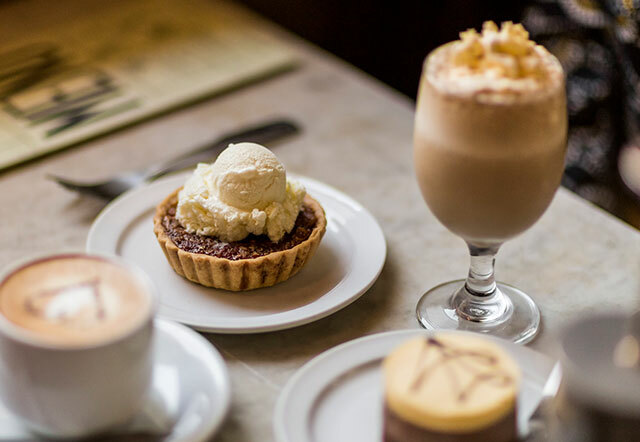 We decided to enjoy some of our favorite desserts: pecan pie, carrot cake and 4 layer chocolate cake, but you can choose from a great selection of crepes, salads, desserts and a lot more. Also, in the coffee department you can choose amazing combinations that you probably won’t find anywhere else. The delicious food and coffee (Britt of course) were the perfect pairing for an afternoon coffee. 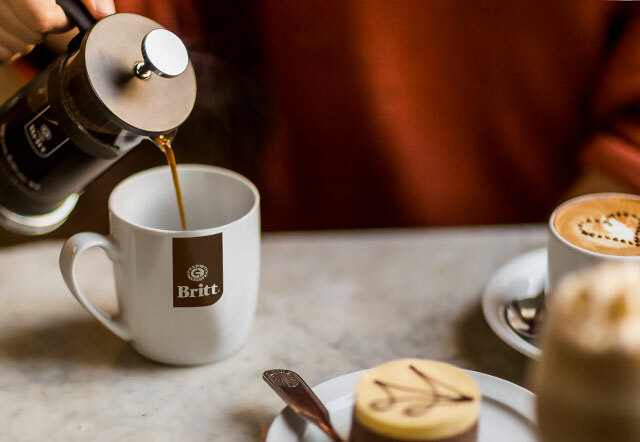 To some, this might just be another place to get an afternoon coffee fix, but to us it’s way more than that. It’s a symbol of the hardworking spirit and warm openness that we love about our country. 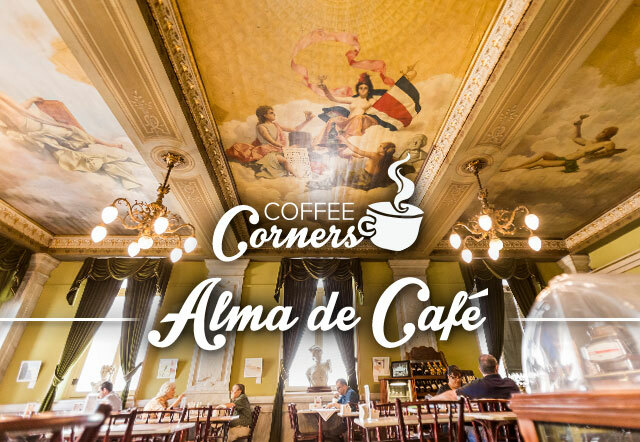 Coffee is just one of the ways we experience this Costa Rican community, and Alma de Café is a wonderful representation of the culture we are so grateful to live in.